Upcoming release : Live at Carnegie Hall, published by Cherry Red Records. Kiev was actually played there but was discarded from the original released. Now, for the first time, Kiev is included in the album. There is also a bonus CD, with the same BBC show from 1976 that was released by Repertoire Records as the 3rd CD of Live à the BBC. What follows it quoted from the Live at Carnegie Hall page at Cherry Red Records. 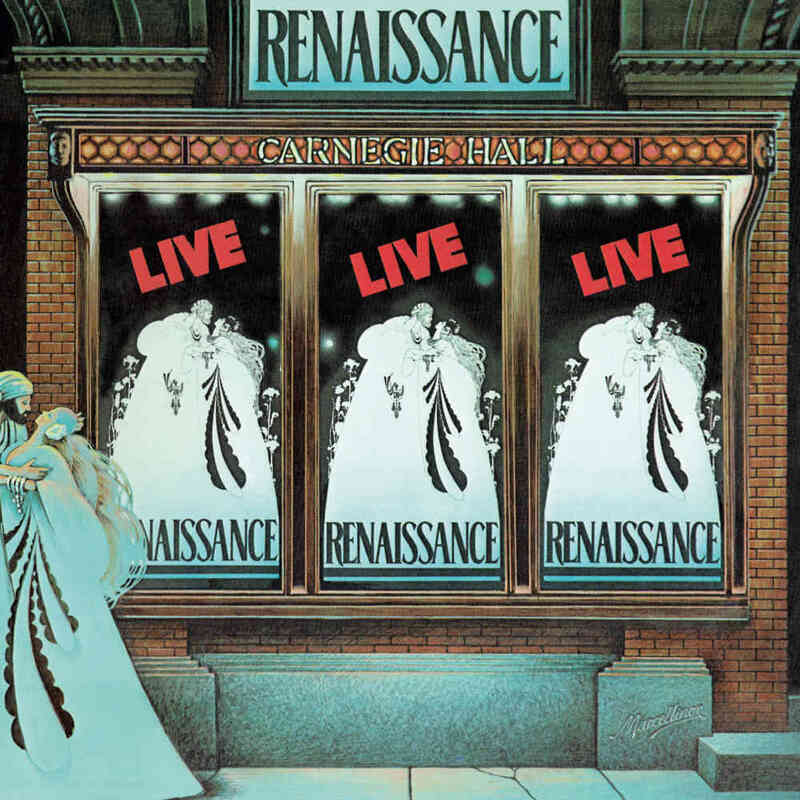 Esoteric Recordings is pleased to announce the release of a newly re-mastered and expanded 3CD clamshell box edition of the classic live album, “Live at Carnegie Hall” by RENAISSANCE. Released in 1976, the double album documented a series of sold-out concerts at the Carnegie Hall in New York City staged in June 1975, which saw highly gifted vocalist Annie Haslam, Michael Dunford (acoustic and electric guitars), John Tout (keyboards, vocals), Jon Camp (bass, acoustic & electric guitars, vocals) and Terry Sullivan (drums, percussion) joined by the New York Philharmonic Orchestra. Regarded as one of the finest live albums of the era, the album featured such classic tracks as ‘Ocean Gypsy’, ‘Carpet of the Sun’, ‘Mother Russia’, ‘Can You Understand’, ‘Song of Scheherezade’ and ‘Ashes Are Burning’ and is regarded among the finest works by Renaissance. This expanded edition has been newly re-mastered from the original master tapes and features six lengthy bonus tracks, including the very rare live performance of ‘Kiev’, recorded at the concerts and issued as the B-side to a rare promotional single by Sire Records in the USA only. Previously unreleased on CD, this sought after performance has been added to this new release, along with the band’s entire 60 minute performance for the BBC Radio One In Concert programme. Thank you to Irving Levy for the news alert.